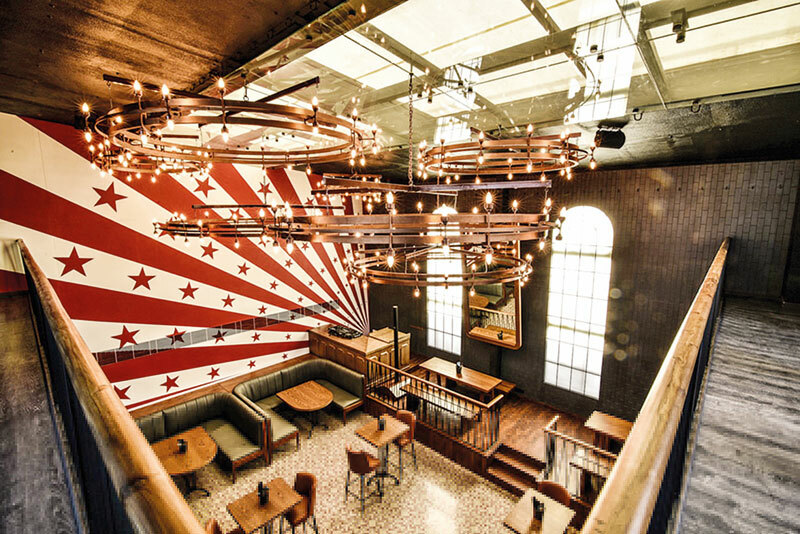 An understated yet alluring aesthetic, exquisite lighting that is as well-thought-out as the menu, and feel-good music are the first to hit you at Pebble Street Hospitality’s spanking new Asian gastropub at Kamala Mills, Mumbai. Next are the cocktails. The line between innovative and garish is a fine one, but this place employs just the right approach. Ryan and Keenan Tham firmly believe that molecular gastronomy is on its way out, preferring to embrace and elevate the farm-to-table dining concept that centres on fresh produce. 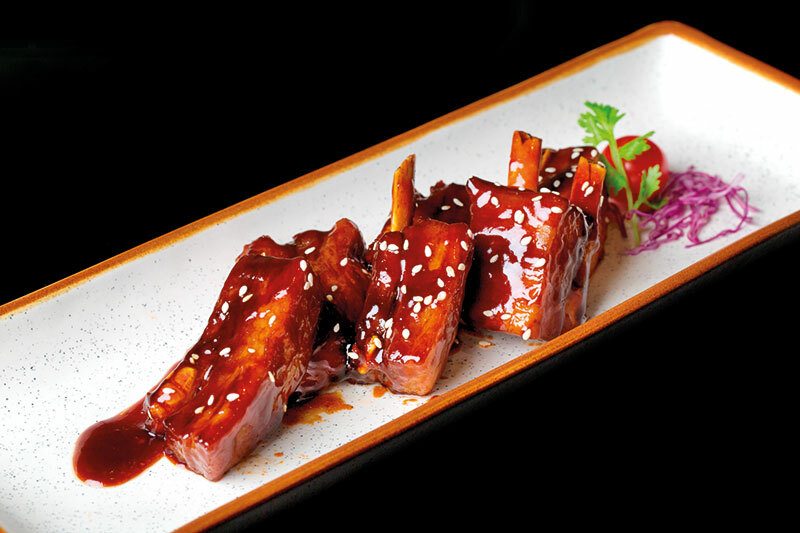 One can’t help but trust them based on a repertoire that includes Henry Tham’s (their father’s self-named restaurant that was the city’s modern Asian icon), The Good Wife and Trilogy, but even more so after tasting what is on offer. Some of the best sushi and dimsum in town hit the table with outstanding presentation, along with the dish of the night: hamachi carpaccio. The thinly-sliced Japanese fish is accompanied by a well-balanced dressing, pickled seaweed and a piquant kick from slivers of jalapeno. 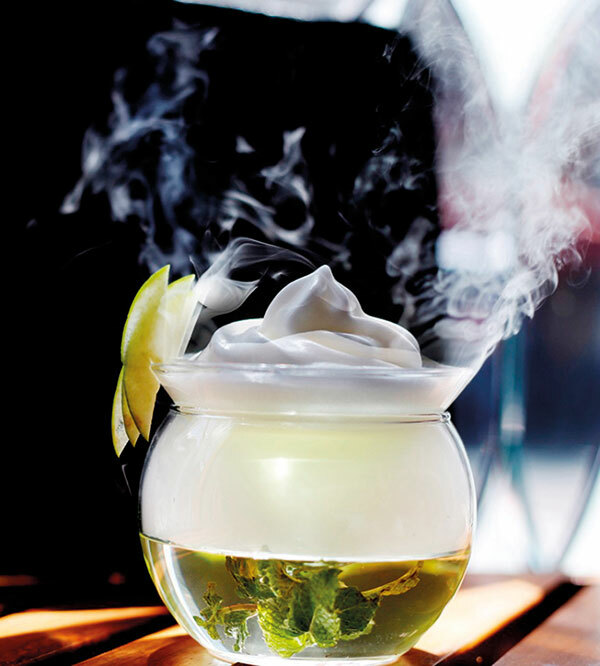 Speaking of spice, tom yum cup — the signature concoction and star of the drinks menu — is one for the adventurous foodie who wants to be wowed without the smoke and mirrors (the brothers detest the dry ice trend). Pro tip: drink it slowly. 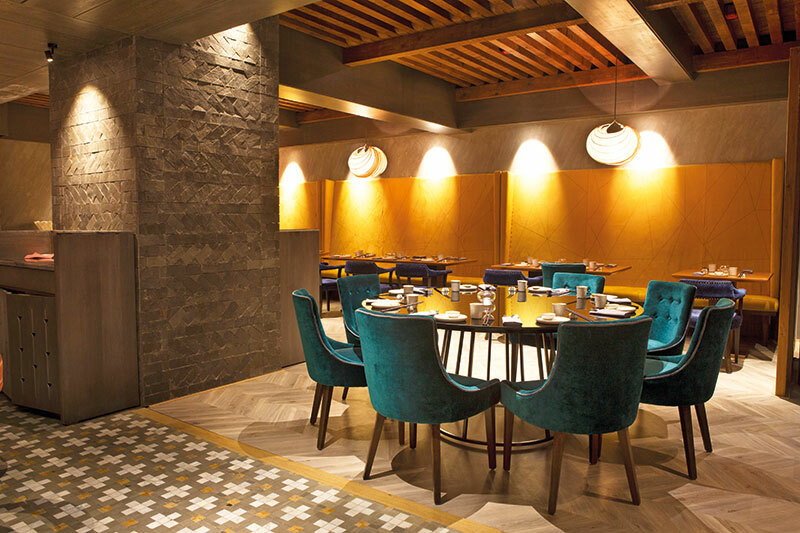 Special mentions: Hats off to designer Sumessh Menon and team for giftwrapping the space to be chic without feeling pompous; upscale yet inviting. Dimi Lezinska, co-host of Discovery Channel’s Cocktail Kings and mixologist to the stars at the Oscars and Cannes parties, also deserves a standing ovation for the most pioneering cocktail menu around. Verve recommends: Softshell crab sushi, lamb croquettes and the sweet pea, water chestnut and truffle dumpling. 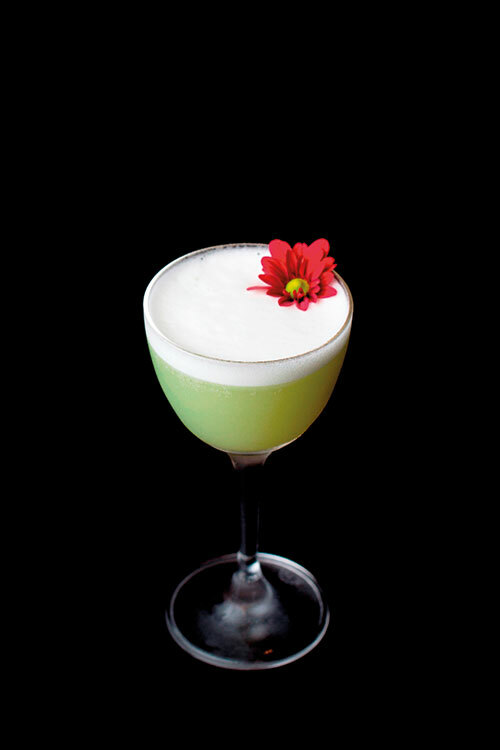 Relish the green maozi cocktail (vodka, fresh broccoli juice, orange, lime and egg white, with a soothing chocolate aftertaste) or the white day (white rum, lemon juice, pineapple, white chocolate and parmesan cheese). 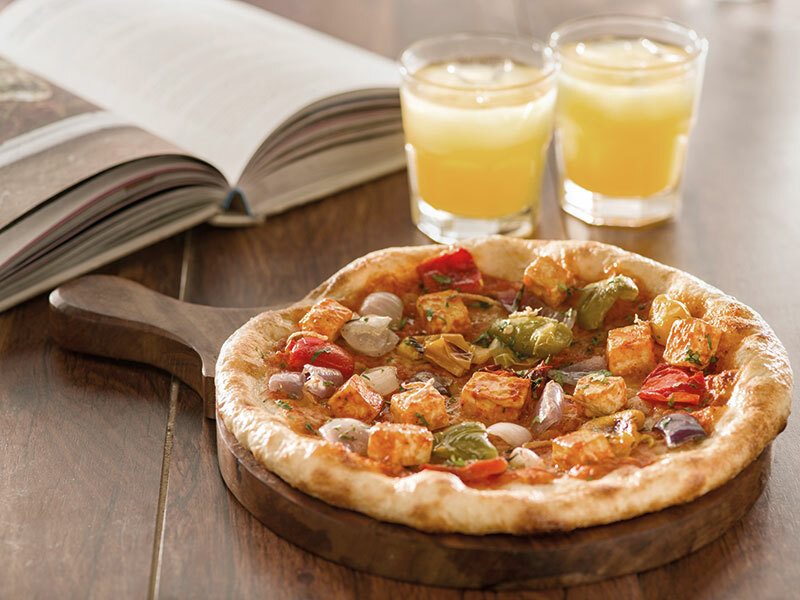 Bold flavours run unrestrained at the Mumbai outpost of Massive Restaurants’ New Delhi hit. A mishti doi bubble is served as an amuse-bouche, although we wished we could’ve ordered two more, while the drinks had us chuckling (‘my girlfriend’ is served in a female body-shaped glass, which a friendly server presents saying, “Be nice to her!”) as well as revelling in a bit of nostalgia with the chuski margarita. 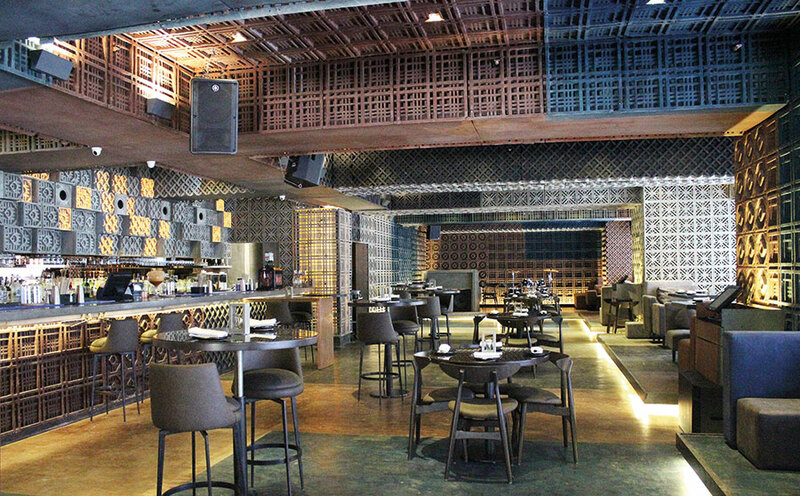 The 3D-spatial-mapped wall of the bar (which syncs with the music) echoes the group’s other modern gastronomy property, Pa Pa Ya, meshing distinctively here with Rajasthani jali work, a muted colour palette and comfy dark couches. The entire space is concrete, including the salt and pepper shakers, and architect Pronit Nath’s Urban Studio has even incorporated a live performance corner at the far end. 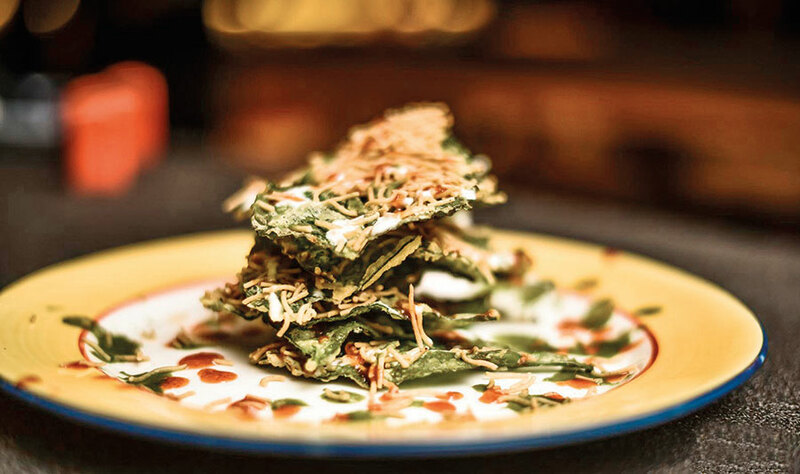 The Kalra touch is palpable across the menu; in the tempura prawns with nimboo mirch foam, and the dal chawal arancini served with achar, green chutney and papad. Bonus treats: Besides the moreish amuse-bouche, guests are served khandwi popsicles as a pleasant palate cleanser before the main course and cotton candy gujiya paan at the end of the meal…all complimentary, all delicious. Verve recommends: Succulent murabba-glazed pork belly with roasted apples served on a sizzling grill, Chettinad prawns with curry leaf fried rice, Parle-G cheesecake and apple foamtini (vodka, green apple, lime juice, elderflower syrup, mint foam). 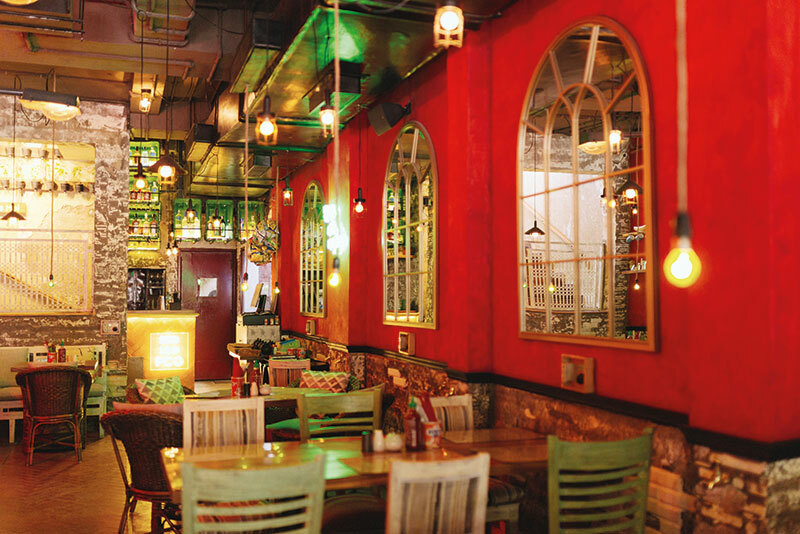 Bright red walls, neon lights, pop music…this New Delhi eatery truly embodies the South East Asian street atmosphere. 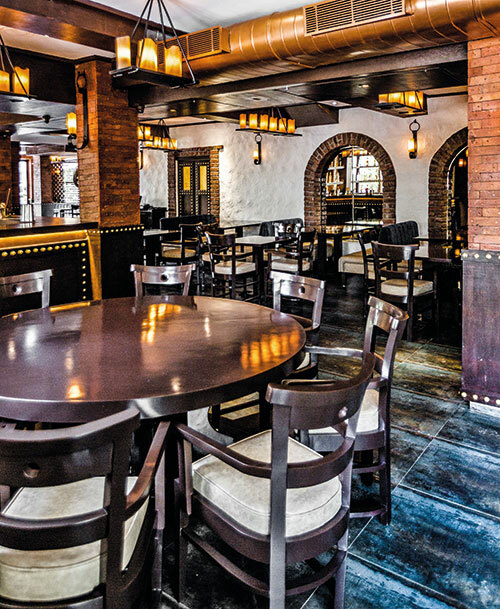 Rakshay Dhariwal, the young owner of the award-winning cocktail bar PCO (Pass Code Only) and private member’s club A Ta Maison, has managed to bring freshness and originality to a well-explored cuisine. Knick-knacks are strewn all over while odd cups and saucers, mini sauce bottles and Fox candy tins make up the cutlery. The tables have newspaper-laminated table mats and climbing up the stairs to the restroom, one sees clothes on wash lines, barber chairs and Vietnamese cone hats as lampshades on the terrace. 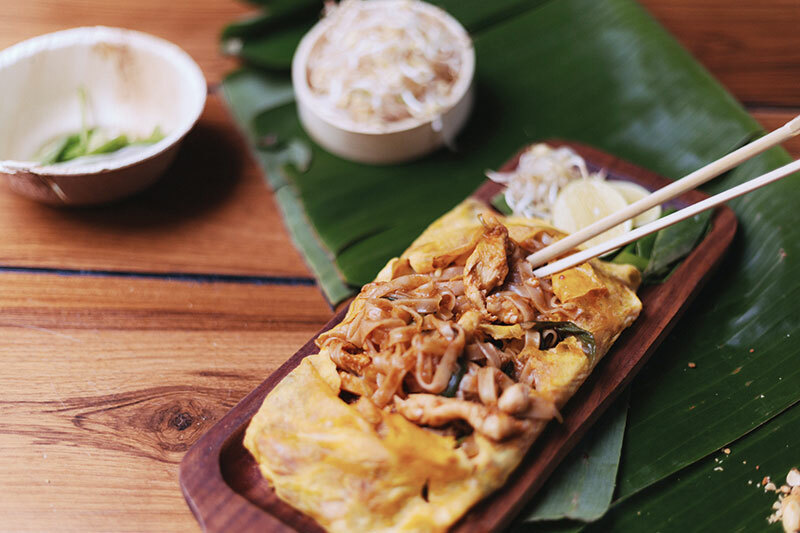 The menu has all-time favourites like khao suey, laksa, pho noodle soup, ramen, duck rolls and stir-fries — with a healthy approach to cooking. Interestingly, guests can pick from low calorie, vegan and gluten-free options while still savouring the authentic taste of each dish. 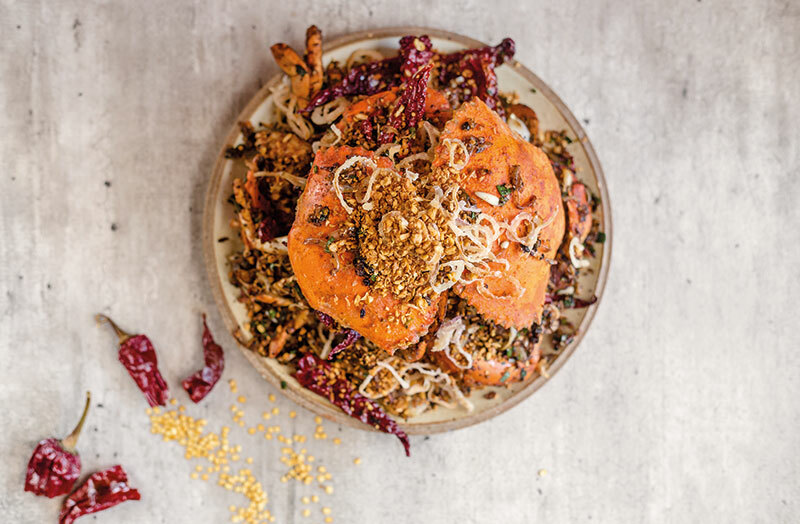 Complimentary prawn crackers are served with a black bean dip and spicy sambal, the flavour profile of which is just right — as is the quinoa salad with mango, red chilli and soy. The bar menu is a pleasure, featuring classic cocktails with heady twists like the miso mary alongside sake, shochu and healthy sugar-free mocktails. Quirk fest: An electric bell is attached to an overhead light at every table, making a ‘ping’ when it is turned on to get the staff’s attention! We also love the brass taps protruding from the walls at each table, serving as one-of-a-kind bag hangers. Verve recommends: Signature dish Georgetown red snapper biryani with short grain sticky rice, Ping’s godfather (absinthe rinsed with Glenlivet, Grand Marnier, lime juice, elderflower, kaffir lime, diced ginger) and the Singapore sling paired perfectly with bacon-wrapped prawns, teriyaki asparagus and chicken yakitori. Finish with the sticky banana pudding with home-made coconut ice-cream. Given that it is named after the crab, Sebastian, in The Little Mermaid, it comes as no surprise that Chef Kelvin Cheung has carefully curated this culinary quarter as a destination for seafood lovers. 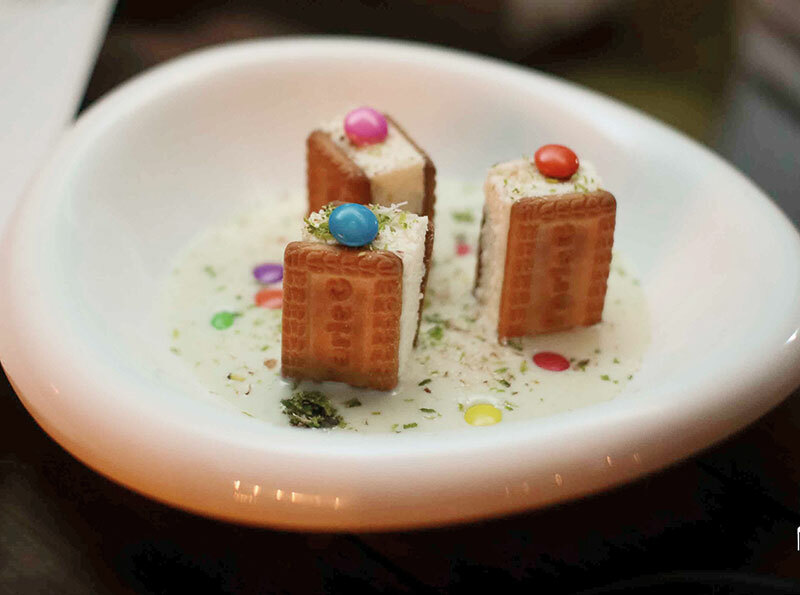 Located in an almost-missable cubbyhole in Bandra, just a block away from his other franchise, One Street Over, the yellow-tinted restaurant may not boast of a great view or enchant a discerning aesthete, but is an exciting journey for the gourmand. A much-needed detour from masala-based seafood, most of the recipes here are plucked from childhood memories. Take for instance, the ‘under the bridge’ crab, a Hong Kong delicacy that gets its name from a dish cooked under a bypass near Wan Chai, which pairs chilli and black bean with perfectly cooked softshell crab. The fried man t’ous are served hot with a golden crust — a delightful surprise to the palate — and among lighter eats, the Norwegian salmon plated with miso glaze over sushi rice is a classic bait. Beautiful flavours from famous seafood pockets of the world are cultivated here, particularly evident in the grilled Korean calamari, rice pancakes stuffed with prawns, and butter poached lobsters that come with a garlic butter brioche. Say cheese: The cheesecakes are as integral to the restaurant as the seafood. 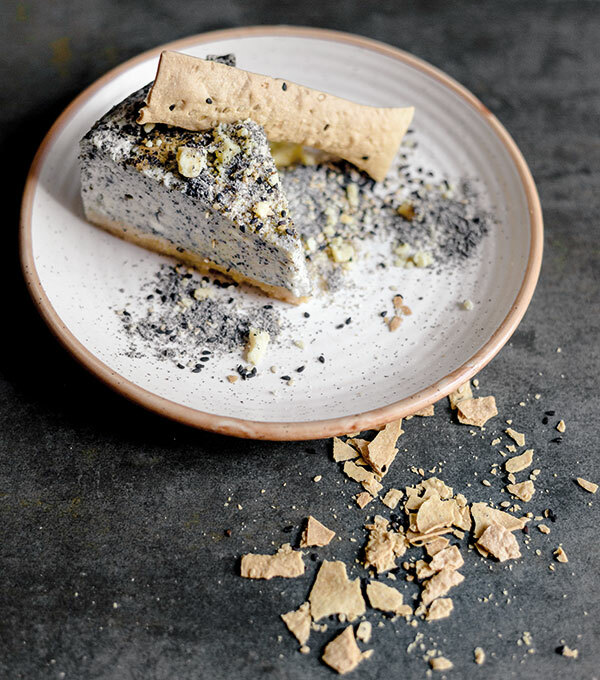 The oreo and crème brûlée versions happen to be our favourites, but we can’t wait to try all the flavours that the restaurant promises to launch sometime soon. Verve recommends: The D-I-Y menu featuring prawn, mud crab, and lobster or market fish, which you can customise with sauces like Thai red curry, Singaporean chilli, under the bridge or Malaysian sambal. Must-haves from their tiki bar are the coconut-infused coco oh and the Jim Beam and orange flavoured head hunter. Buzzing appealingly with the sound of people relishing wholesome, unpretentious food, this is a relaxingly casual joint that feels like home. Although the menu still needs a bit of fixing as do other minor teething problems, all-in-all it’s worth a visit. It is the brainchild of Jamie Oliver after all, the gastronomy world’s chocolate boy with a genuine passion for fresh ingredients and nourishing, credible fare. The place seems to beckon passers-by, sitting bang opposite the cinema at High Street Phoenix in Mumbai. The aromas wafting from the open kitchen can kick-start anyone’s appetite, but if that doesn’t do it then the large screen playing Oliver’s shows on loop and the picture frames filled with mouthwatering food photographs surely will. The menu is pleasing both to the stomach and the pocket, allowing guests to pick from appetisers, baked dishes, salads, drinks, desserts and, of course, pizzas. The hand-stretched garlic bread with rosemary and olive tapenade starts the meal on an absolute high, followed by scrumptious pizzas fresh off the stone oven that are satiating without being too filling. 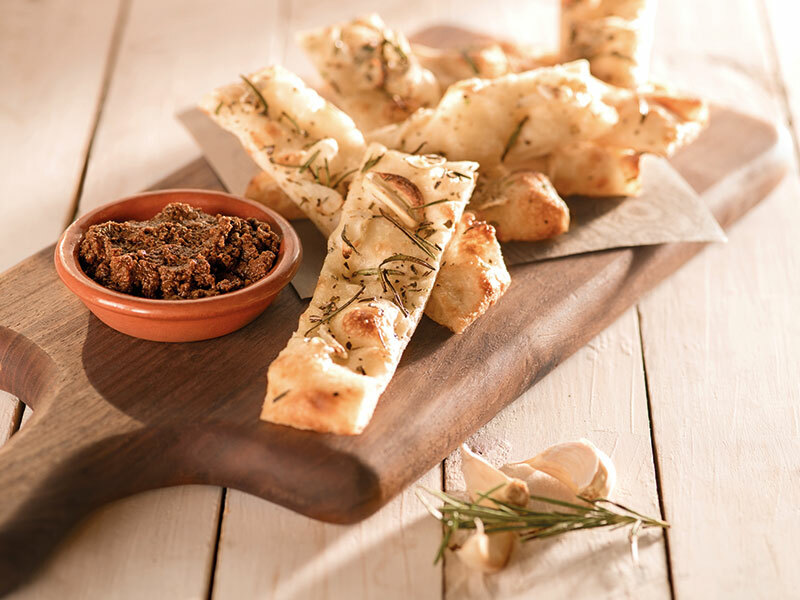 We also love the fact that the menu presents three home-made dips for your crust — no more dry bread at the end of the slice anymore! Overlooking the fact that the amount of spice in the chicken wings burnt our highly resilient taste buds (luckily we had it towards the end), the seafood is very well treated, and the drinks are inventive. But if we can give you one bit of advice, it is to leave room for dessert…. Trust us. 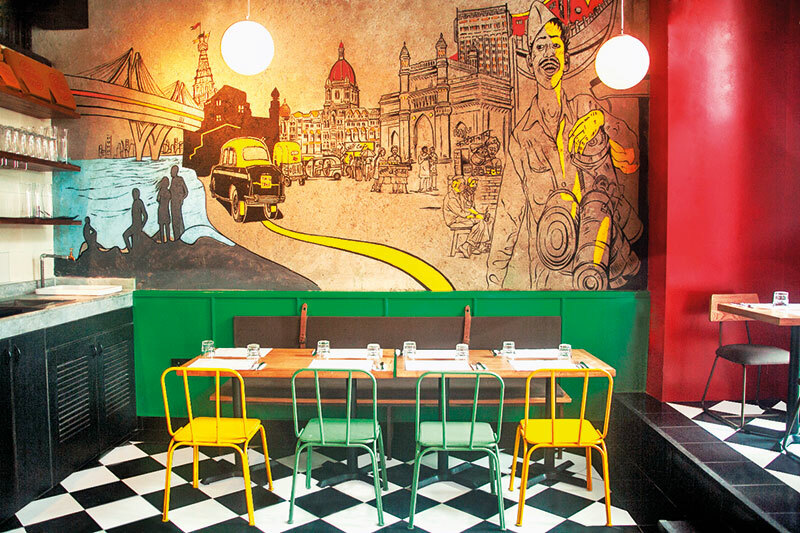 Desi appeal: The decor takes cues from its home city, flaunting a painted wall depicting typical Mumbai sights like the Gateway of India, kaali peeli cabs, a dabbawala and the Bandra-Worli Sea Link, while the blackboard lists a few daily specials in Hindi. Verve recommends: The Tuscan pizza, all the way — topped with dry-cured pork ham, crushed tomatoes, mozzarella, cheddar and rocket leaves — preceded by the satisfying watermelon and feta salad. Wash it all down with the home-made ginger beer and do not leave without treating yourself to the most decadent chocolate brownie and affogato. Overlooking the heart of the city in South Extension II, New Delhi, is a 10,000-square-foot, three-level celebration of hoops, stars, stripes and mirrors, unmistakably inspired by the circus. The interiors feature high ceilings and an al-fresco bar and deck that come together seamlessly. 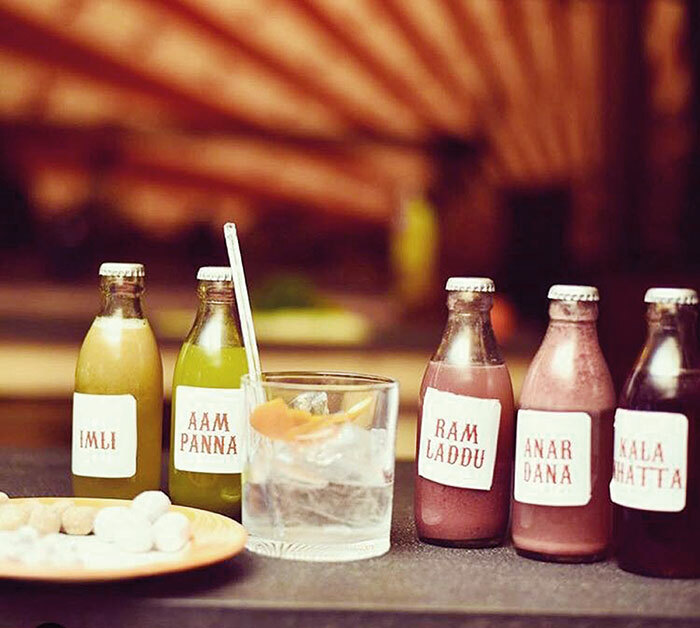 The rooftop is perfect for barbecues and sundowners with a cosy private glass booth offering an almost 360-degree breathtaking view of the city, while the menu showcases authentic Indian and global street food which takes one back to childhood. There are several dishes to choose from, including many tried-and-tested nibbles and mains, Western grills, as well as a busy bar concocting fun cocktails. Pair the signature masala gang (kala khatta, imli, ram laddu, anardana and aampanna and a dash of vodka) with the absolutely authentic Dilli ki chaat, Howrah jhal muri, Mumbai’s kanda bhajiyas and Chinese street momos. Stimulating spectacles: All over the space are wacky chandeliers and tables that emulate balance beams used in gymnastics. A gallery area which leads in from the rooftop gives diners a ringside view of the restaurant. Verve recommends: Tiffin meals, clown’s pride (a refreshing blend of Earl Grey, mint, lime and whisky) and the ultimate circus sundae.